Besides that we also introduced Custom Reports wherein customers can get personalized reports, based on their business needs, on TLDs covering datasets falling under domain name, Whois and DNS category. This was followed by accentuating our expertise in the domain Whois data area and creating Internet Retailer Database and All Registered Domains Database for our customers. 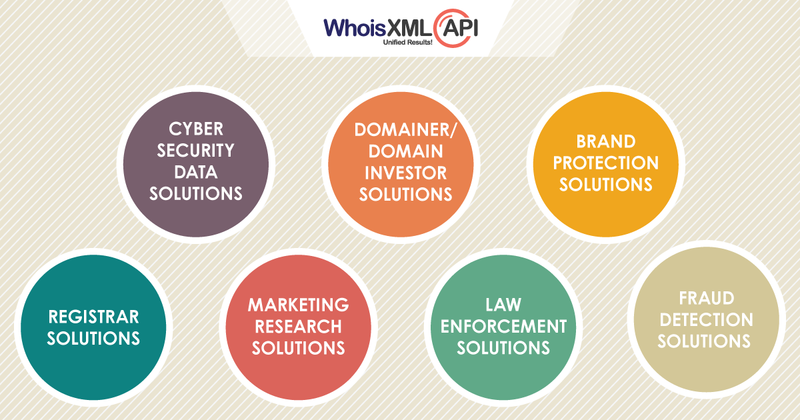 But our biggest endeavor is in creating holistic solutions for various industries that use Whois products and services. Over the past decade, slowly and steadily we have caught the pulse of what kind of data different industries need and basis that we have created customized solutions for the same. This year we intend to focus more on providing unified domain Whois data solution packages which can enhance efficiency & help conduct deep domain research with industry-specific solutions for our customers. For cyber security professionals, domain Whois data is among the most important pieces of information required in their work. Understanding the significance of this, we have developed a comprehensive Data Solution package which offers a maximum amount of real-time and historic data coverage, with tools for fast, thorough, and insightful research. If you buy, sell, negotiate prices on, or evaluate domain names, you need accurate and timely information. Our data solution package provides daily updates on newly registered and recently expired domains, along with domain research tools for checking domain name availability or tracking domain owners and/ or identifying various investment opportunities. Brand managers need to proactively protect their intellectual property and check potential trademark infringements to help reduce and eliminate domain name similarities, duplicates, or copycats. Our data solution package helps provide that tool for them; from monitoring & getting timely alerts related to your brand as well as your competition to unrestricted domain registrant research, we have your back covered for it all. Marketers and Researchers are now increasingly turning towards domain data for research purpose whether it is to identify new business & partnership opportunities or to find potential buyers. Keeping their needs in mind our solution package provides them exactly the data they need; from categorizing websites to providing registrant details, both historic & real-time. Registrar’s data solution provides a complete back-end support with regards to Whois & other domain management services for Registrar’s. We help set up and manage public Whois service in-house for them. Also, we offer the option of providing a solution package covering real-time and historic domain Whois data along with domain availability checks so they can concentrate on their business and outsource the entire domain Whois data service from us. Law enforcement and government agencies often use domain Whois data to verify and check on domain names or IP addresses. With our unbounded searches you can get all the registrant information for your background research. Payment processors and banks can safeguard themselves against Transaction Fraud with the help of accurate and comprehensive data. Understanding the importance of this, we have developed a comprehensive Data Solution package which offers a maximum amount of real-time and historic data coverage, with tools for fast, thorough, and insightful research. We intend to keep this momentum and ensure that our customers can fall back on us for everything related to Domain data. So now no more spending time in figuring which type and how much of data is required for your domain research. With WhoisXmlApi Data Solution packages you can minimize your data search effort and get timely insights with the best and most accurate data!